Across the country hundreds to thousands of indigenous women have been found murdered or gone missing over the last several decades. 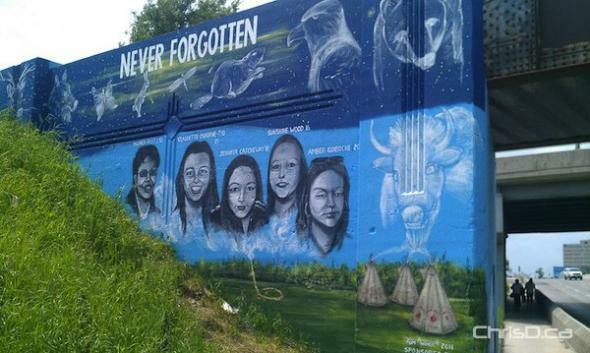 Native women face five times the rate of violence that non-Native women do in Canada. On Thursday, October 4th, at 6pm, women and men come together to commemorate the lives lost early and to call for an end to the tragedies and violence. CKUT’s Community News Collective and CUTV News went live from the 7th annual Sisters and Spirit Memorial March and Vigil for Missing and Murdered Native Women. Thanks to UpStage for graciously giving us the airtime to broadcast live this important event.